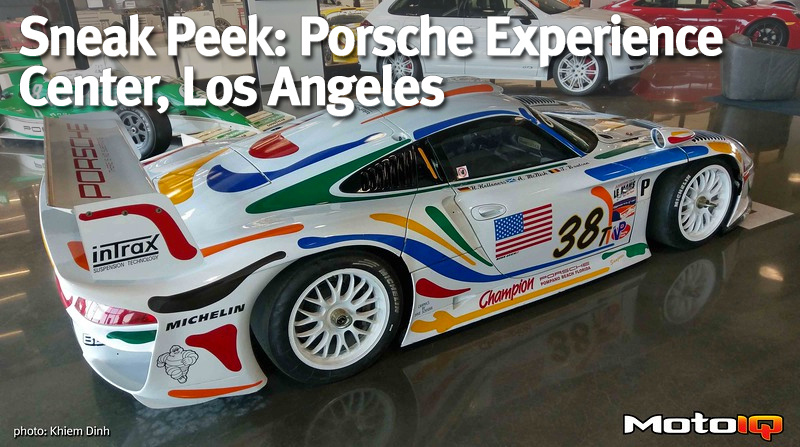 The Porsche Experience Center in Los Angeles is just a mile down from my work office, so a few of us go there for lunch every couple weeks. There’s always some type of awesome race machinery in the lobby, and the cars are changed out every so often. There were some particularly tasty cars on this trip, so I whipped out the cell phone for some quickie snaps. 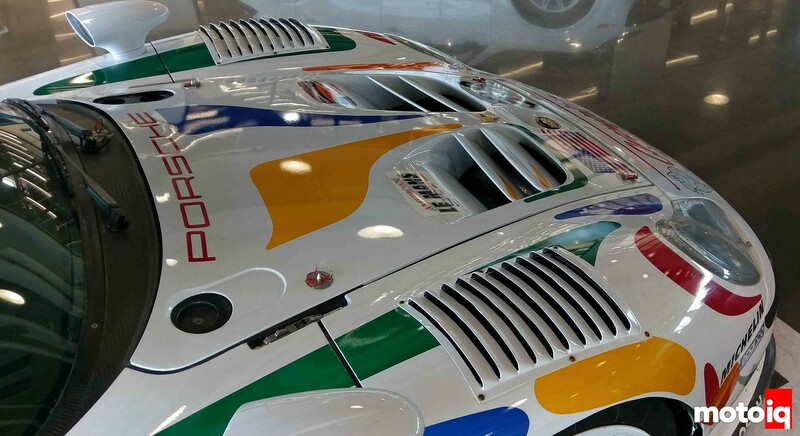 The Champion 911 GT1 Evo features fender louvers which the GT1 variant we saw at the Petersen Automotive Museum did not. Different race tracks have different aero requirements. 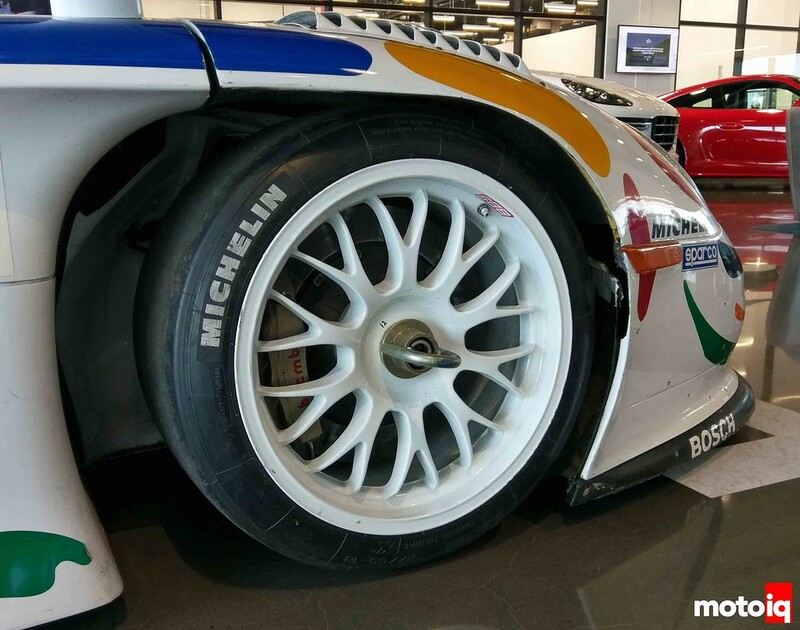 The front wheel well geometry is different too between the two cars. I love how the front of the wheel well wraps down and around with the tire. You can’t do that on a street car which has more than just a few inches of suspension travel. 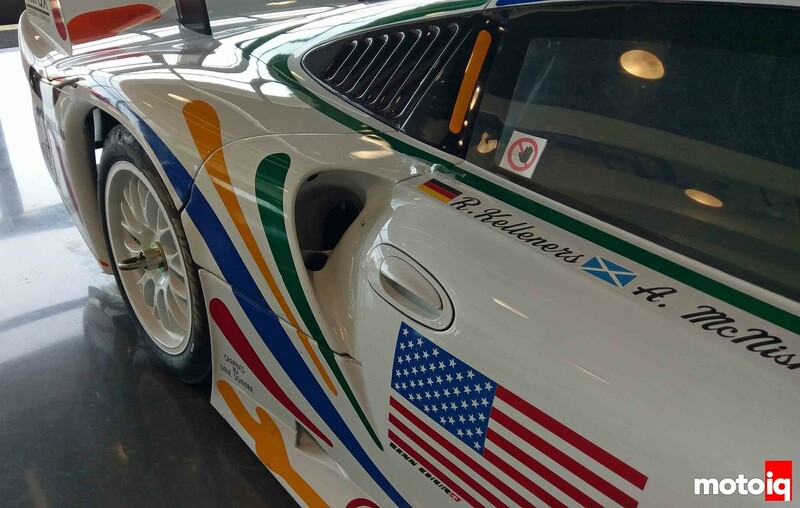 Allan McNish, one of my favorite drivers, drove this car. Looking into the side air scoop, there’s a little divider in the lower portion. My guess is it directs air to an oil cooler. There’s a NACA duct on the lower body panel which I’d guess is for rear brake cooling. 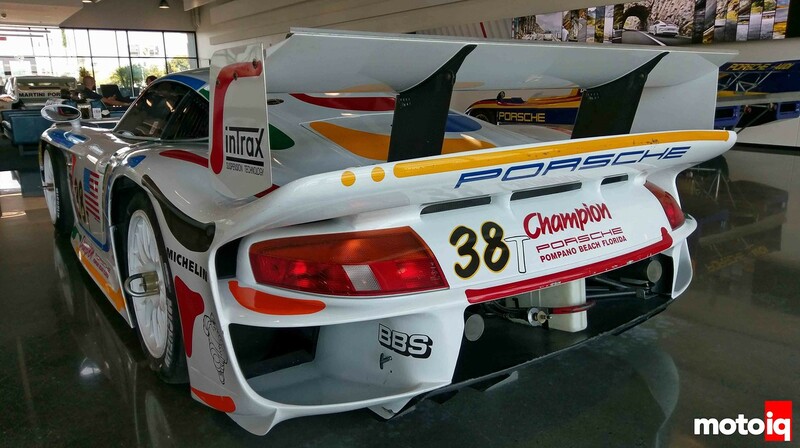 A massive rear wing is paired with the massive rear spoiler to generate downforce at the rear. Those wing endplates are pretty massive too and extend almost down to the body.